Losing a loved one is like losing your right arm. Your arm will not grow back; what you must do is learn how to do life with your left arm only. This is difficult but it can be done. Having said that, that still doesn’t mean you will find comfort. However, today’s passage reminds us that finding comfort is possible. At the risk of oversimplifying this very real and painful issue, let me point out a few things from the love story of Isaac and Rebekah that will help the grieving find comfort. First, it will take a while. We don’t how long, but counting the acceptable mourning time of Abraham’s day and then the journey to Rebekah’s homeland and the return journey it took at least many months and possibly several years. In other words, when the funeral service is over and you walk away from the grave, the grieving journey is just beginning. Living in the land of “no comfort” for a long while is just one of the realities of having a loved one die. You are not a weak, faithless or unpleasing-to-God Christian, God understands (even if friends and family do not). Second, always know that while you’re living in “no comfort land” God is working behind the scene on bringing comfort to you. Keep walking (living) while you wait (Genesis 24:62-63). Finally, no one will ever replace the loved one you lost (we’re talking “comfort” here—not “cure”). In our verse today we see that Isaac took his new bride to his mother’s tent and there started a new relationship while remembering an old one. That is the beauty of the human heart when it comes to love; our capacity to love is unlimited. And when we begin to open our heart to other people it is never at the expense of those we have loved before. The ONE THING: Losing a loved one is never easy and finding comfort takes awhile, but if you will daily turn your loss and pain over to God he will direct you out of the land of “no comfort”. 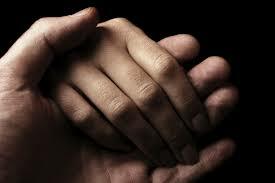 Prayer: Unless you are very young you have almost certainly lost a loved one you held dear by death. Many times we do not allow ourselves to process that loss. Take a few moments today in your prayer time and reflect on the special person(s) that have passed away over the years. Remember them and talk to God about them. Caring: There is almost certainly someone in your life that is grieving. Before the day is through give them a call and be a God-sent comforter. Hint: Don’t give advice, give yourself. Tags: Comfort, death, Grief. Bookmark the permalink.